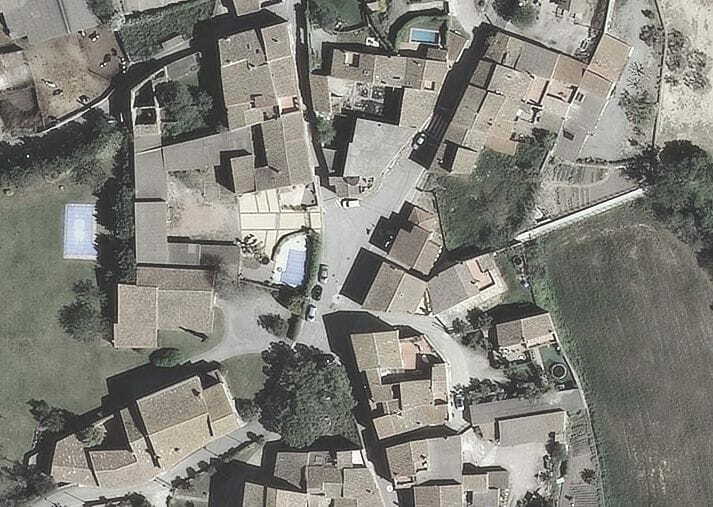 The historic center of Ultramort articulates around two basic axes that intersect in X shape: Carrer Major and Carrer Figueres. 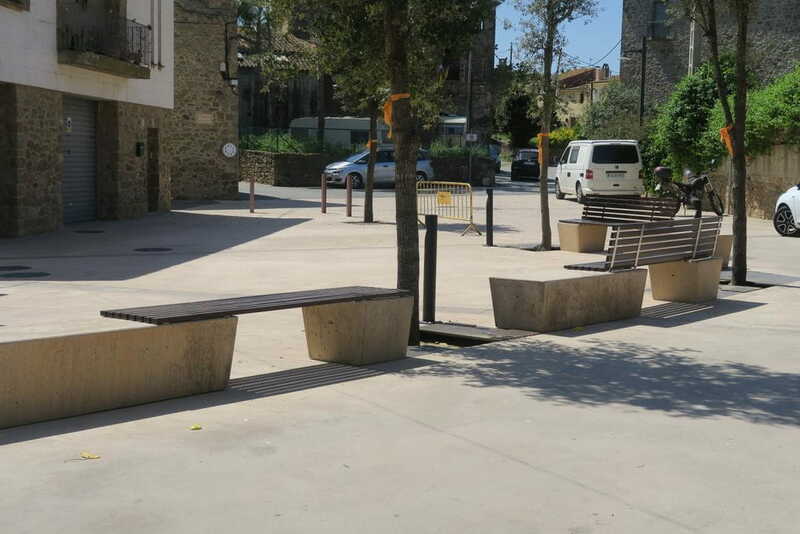 At this point we find Plaça Constitució, which together with three other public spaces (Church Square, Torre de les Agulles and the recreation area) complete the urban fabric of the town. 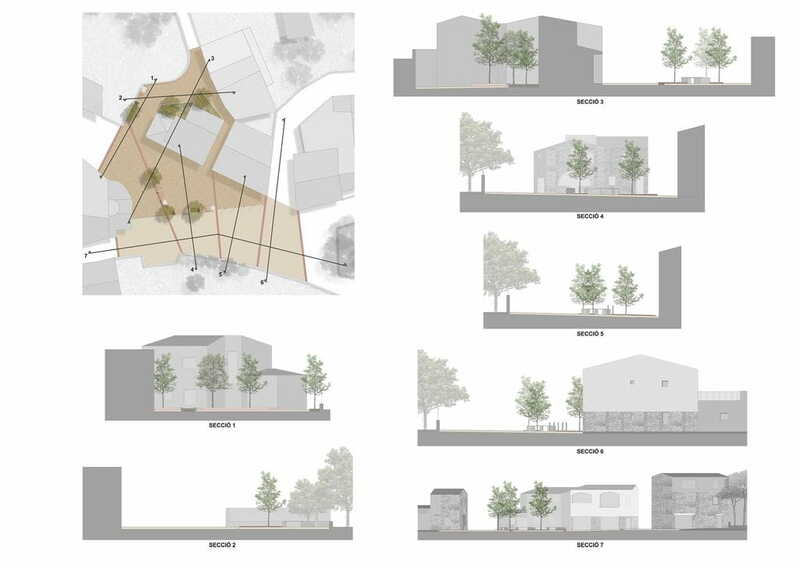 The proposal for intervention in the Plaça de la Constitució and adjacent spaces is the first phase of a wider intervention in all the public spaces of the old quarter of Ultramort. 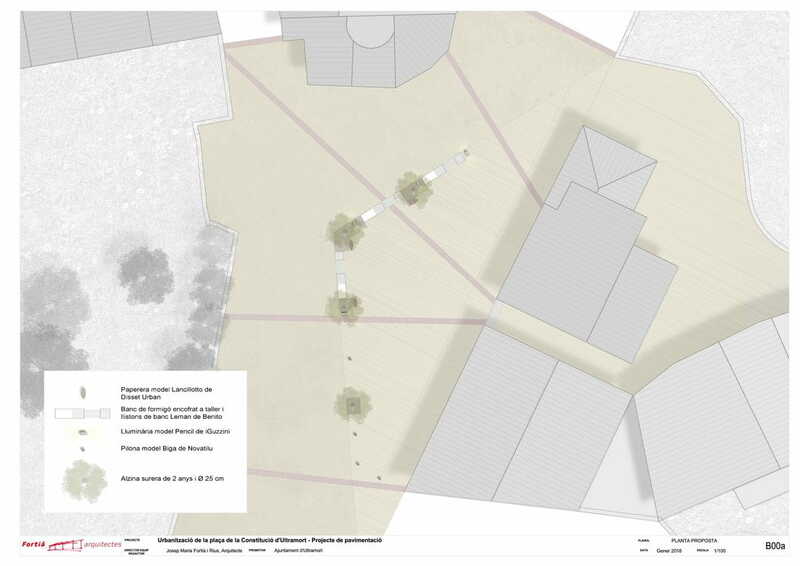 · Replacement of the road and circulation scheme. 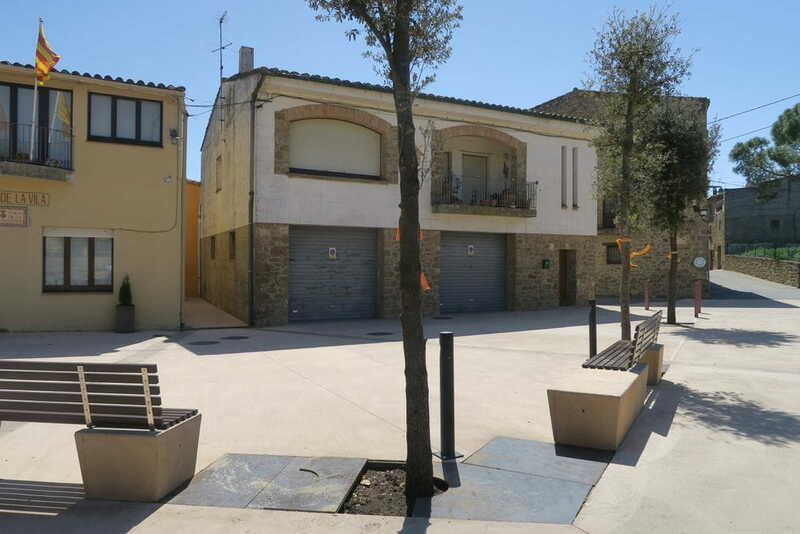 It is proposed to promote traffic on Carrer Major- Carrer Figueres as the main road axis. Inside the square, a good part of the central space is freed up as a pedestrian space and road traffic is restricted to the aforementioned axis. · Paving. 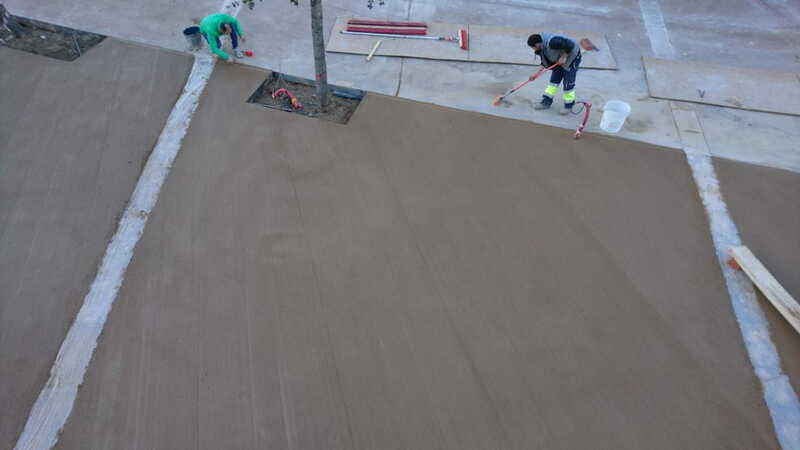 The base material of the pavements of the square is the brushed and colored concrete. 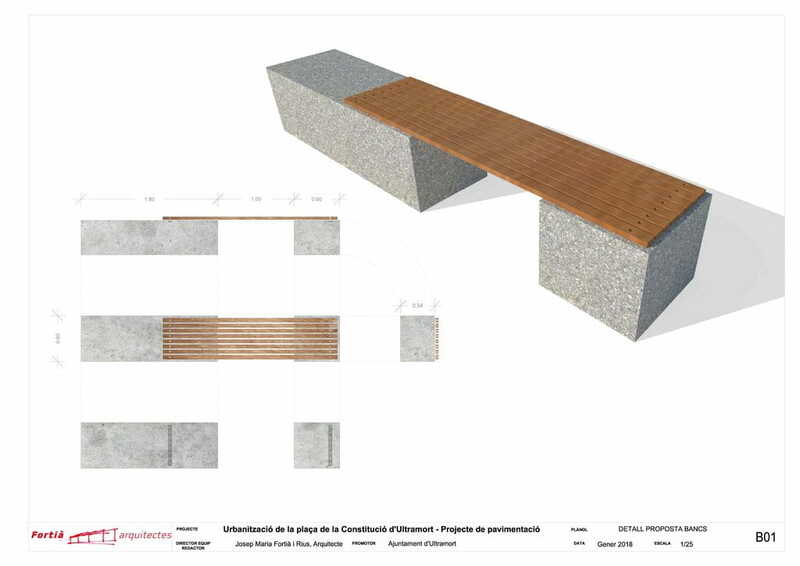 The facade of the Town Hall building is taken as a guideline of the composition and from this plan the bands and the texturing of the concrete are started. 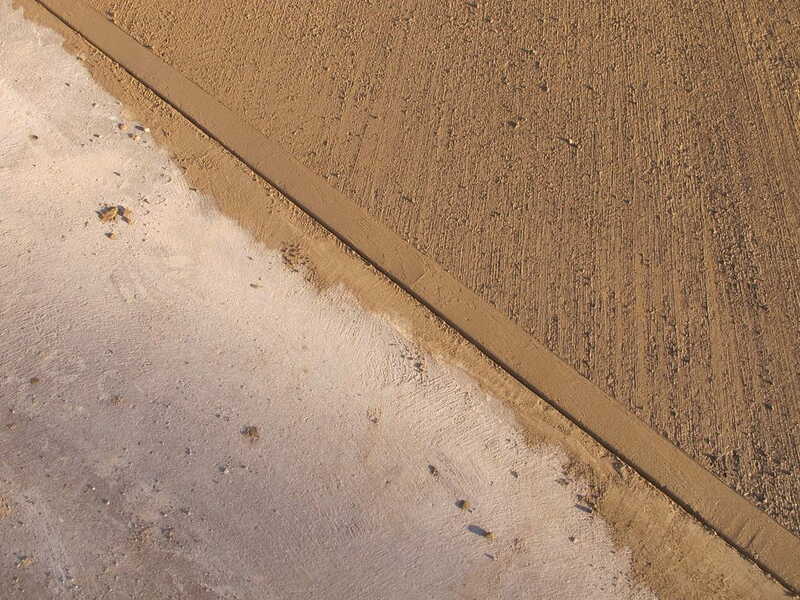 Different two textures of concrete, depending on the pedestrian or vehicle space. It also acts on the perimeter space of the Town Hall building, including the lateral space that is affected by urban planning. 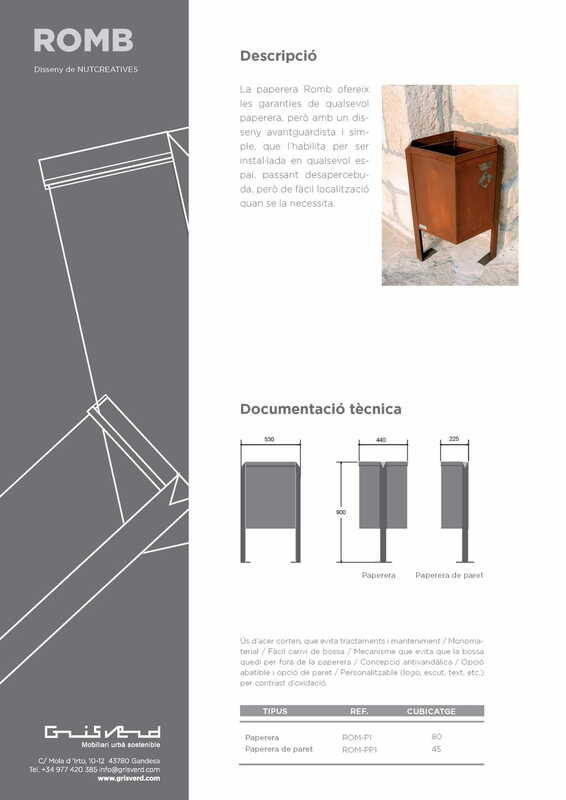 · Urban furniture. 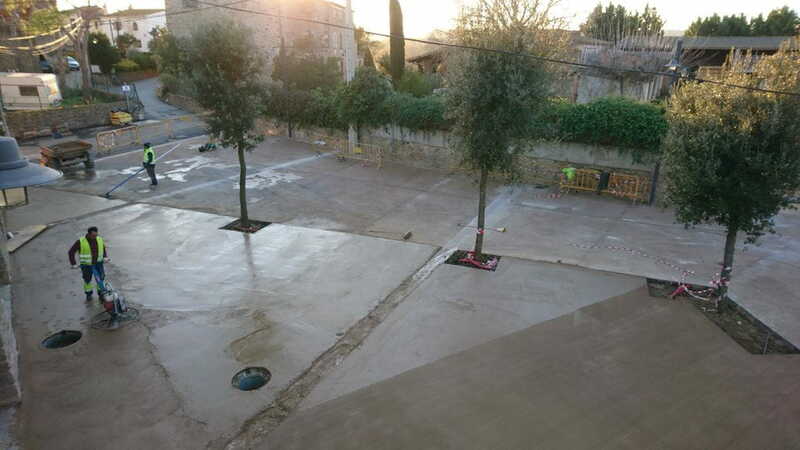 The placement of delimiter elements of the pedestrian space are planned; Those are pylons, three banks, lighting installation and plantation of evergreens. Parking will be forbidden in the square.